Western citizens and African subjects? Through revisiting Hountondji's notion of externalization, this panel seeks to carefully probe the commitments and motivations that lie behind how knowledge about Africa is produced in Western institutions and why Western scholars seek to become Africanists. The broad field of African studies is beset with impassioned disputes and ideological disagreements over whose voice, ideas, and interests are legitimate in advancing knowledge about the continent's diverse histories, societies, and politics. 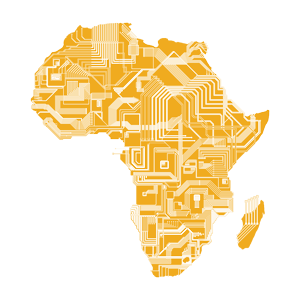 Long-standing discussions about the 'invention of Africa' within colonial rhetoric and institutions form the backdrop to more contemporary critiques of and challenges to the hegemony of Western institutions and scholars in the global knowledge arena. For the Beninese philosopher, Paulin Hountondji, the study of Africa is characterized by externally generated epistemologies that simplify and homogenise the continent. He refers to this phenomenon as the 'externalisation' of African scholarship, which he argues is a failure to decolonise intellectual and academic life. This panel is an attempt to evaluate Hountondji's notion of externalization through a careful discussion of the Western arts of African Studies. At a structural level, it aims to illuminate the historical and political-economic processes and intellectual logics by which knowledge about Africa has been and is produced in Western institutions. And at a subjective level, the panel seeks to understand the myriad commitments and complex motivations that lie behind how and why Western scholars seek to become Africanists. In the spirit of critical and collective reflexivity, the panel aims to deepen our understanding of the causes and consequences of the externalization of African studies with the ultimate aim of adding new dimension to debates about decolonizing the academy. Submission from across the social sciences and humanities are welcomed. Blindspots; Or is it ethical for white people to study Africa? "The African Studies Association at Sixty: Reflections on White Privilege and the Racial Politics of Knowledge Production about Africa in the U.S."